If your little artists have left signs of their creativity all over the living room walls, then remember these easy ways to regain the original aspect of your walls. Here’s how to clean the pencil tracks on the walls by using a couple of handy tricks. First of all, the easiest way to get rid of pencil marks on the wall is to use a rubber. Don’t press too hard, and if the method fails, then turn to one of the following solutions. Another option is to use a clean damp cloth moisten in baking soda. Start rubbing easily over the “creations”. This should work like magic. Toothpaste is slightly abrasive and can also help in this case, but it has to be in a gel form. Put a little toothpaste on the wall and rub gently, even with a toothbrush. Wipe off with a clean and damp cloth. Mayonnaise is the best solution, and most of the time is found in your fridge. 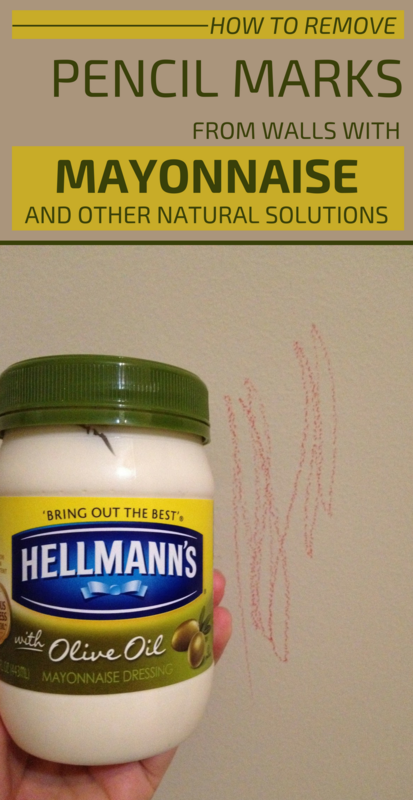 Take some mayonnaise and spread it over the dirty wall and let it act for a few minutes. Wipe it with a damp cloth. 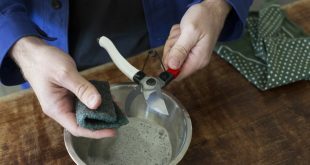 With the green side of a dish sponge you can rub gently the dirty wall. Moisten the sponge in apple cider vinegar and get to work. The traces will be gone in a minute. Shaving cream is another great option to remove pencil traces over the wall. At the end, remove traces with a clean cloth. Tip: if your kids drawn the walls with wax pencils, then you can use a hairdryer to remove the traces. The drawings will simply melt, and then remove them with a clean damp cloth.